We are currently using Math U See curriculum, and we are working through Alpha book. It fits with the classical method well because of the teaching, modeling, practicing, and independent work that is involved. For us, the tangible demonstration with Math U See has been helpful, and I really think the way they work through the math facts is helpful. We are, however, still in first grade math, so anything could happen when it gets harder. Our “big picture” plan is to transition to Saxon around 4th grade or so, but who knows what will happen. Each lesson has 6 workbook pages. The first 3 are practice, and the last 3 are systematic review. A test booklet with test pages for most lessons and unit tests is included. There are also some multi-lesson review sheets in the teacher's book, and you can create pages on the web site. Although, I was disappointed with that when I first tried it, and I haven't tried again for later lessons. The teacher's guide sometimes offers instructions for games you can put together to reinforce the math facts in a fun way, so we do those for practice. We average about 2 pages per day, and we do 2-6 pages per lesson depending on how it is going. I don't always give the tests. We definitely spent more time on the addition lessons, and the pace has picked up now that we are working through the subtraction lessons. We've been going through a lesson every day or two, and I plan to do one big review and test for several lessons this week. You really can change it up depending on how your student is moving along, and that's what I've done. 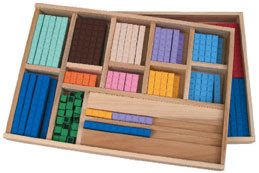 The cost for the 1st grade materials is $85 plus shipping, but $30 of that is for the starter set of blocks that are used for multiple years. You can often find the teacher materials (book and DVD) used. This is one of many curricula recommended for math in TWTM. We also have math memory work for CC. The math portion is the same every year. It includes skip counting and basic math formulas and properties.